The registration process on a gaming platform can tell a user a lot about what lies ahead. A simple and straightforward sign-up process is indicative of a platform that understands user experience. A poor process, on the other hand, can be a warning sign to new users. In this sense, Coral puts its best foot forwards. The sign-up process is very simple, and the user simply has to complete three very short steps. Each of these is straightforward and all together, the process should take no longer than 5 minutes. The player can begin the process by pressing the “Join Now” button in the top right of the screen. The user will them provide some basic details like their name and date of birth. It is important, of course, that the user is at least 18 years old. Now it’s time for the user to provide some contact details. A physical address, email address and mobile phone number are required. The final stage of the process will see the user create a username and password, while choosing the currency that they would like to use. A promotional code can also be added at this point. The user also has the opportunity to put a deposit limit in place. Once this final step is done the account is created, and the user is ready to begin enjoying their experience. Coral is a large platform with a range of areas. It offers distinct promotions in a variety of areas and players should spend some time considering which of these they would most like to use. 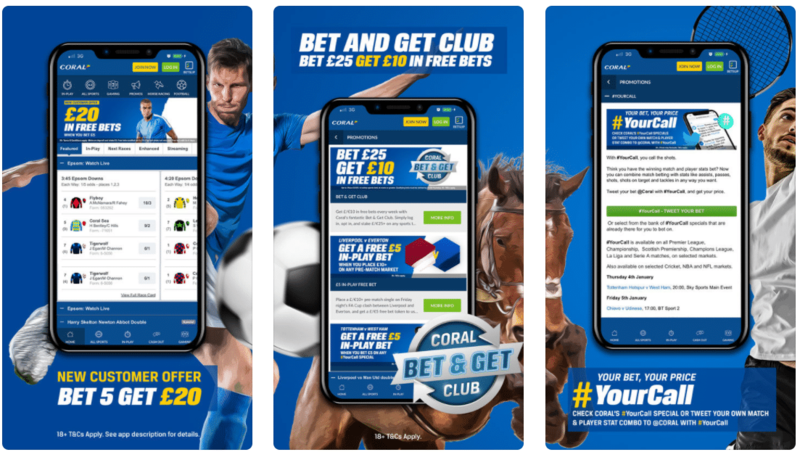 Coral maintains a list of its ongoing promotions on its website and players should check back here regularly to make sure that they are making the most of the most recent options. Here’s a look at how these welcome bonuses are divided and what is on offer in each area. Players will find that there is a £50 welcome bonus available to them when they join the casino for the first time. The bonus is credited to the user instantly when they make their first £10 bet on a range of selected games. There are absolutely some better welcome offers out there, but this one is simple to access and gives players the opportunity to explore a quality platform in more depth. When it comes to Coral’s live casino, there is no specific welcome bonus available. Instead, there are a range of different promotions and offers that change regularly. A £10 Bingo Bonus can be unlocked by those players who spend a minimum of £10 on their first game of bingo. This essentially means that players get to enjoy their first game for free. This helps them to get to grips with the platform and its various intricacies while also enjoying a game and having the potential to win big! As with most other platforms, the poker bonus can be very complicated. It takes some management but if players are organised, they can boost their potential winnings by a large amount. Upon making their first deposit of at least £5, the player will receive £20 worth of tournament tokens. In addition to those tournament tokens, players will receive a welcome pending bonus of £10 for £10. This dynamic continues up until £200, and the winnings are released in increments of £5 for every 300 points the player earns. As with any other platform, there are a range of terms and conditions that govern the management and distribution of bonuses. Players should understand these thoroughly before they begin playing, because this will maximise their chances of success and ensure that they do not encounter and unexpected surprises. Players will find that in addition to the general terms and conditions, there are a range of terms that are specific to each bonus. These can be found on each bonus within the list, so players should investigate these very closely. This will help them to ensure they are making the most of their platform. That’s the bonuses covered, but what about the platform in general? A platform could offer the best bonuses but without a quality platform behind it, those are useless. Here’s a closer look at Coral. Coral’s foundations like back in 1926, but its online presence was established in 2002. Yes, Coral is very secure: all of the data exchanged is protected by SSL encryption. This is a modern standard and means that players can rest assured they are safe. Yes, Coral works alongside leading online gaming providers which are regularly audited and tested. Coral is also transparent when it comes to revealing game fairness information. Does Coral offer a live casino? Yes. Live and virtual games are available to users in great numbers. Yes, Coral received its license from the prestigious jurisdiction of Gibraltar. Is my data safe with Coral? Yes, Gibraltar has very strict rules when it comes to the protection and exchange of data. Does Coral offer live chat? Yes – Coral employs a highly-responsive E-Message support team. Does Coral have a mobile app? Yes, Coral offers a suite of applications on both Android and iOS. The ergonomics of a platform act as a great indication of the experience that is on offer. Coral has seemingly invested significant amounts of capital in its platform, given that the experience is so smooth and the UX is so fluid. This is no easy task, and Coral has managed it well. The experience across both desktop and mobile is harmonious, making it possible for users to seamlessly switch from one to the next with no friction. The platform abides by established industry conventions, too, meaning that there are no unexpected surprises awaiting users. One of Coral’s strongest suits is its large variety of high-quality games. One of the largest casinos in the world, it has paired with the most significant and influential partners to offer a stunning experience. This means that users can look forward to using software from providers like NetEnt, CryptoLogic, IGT, Electracade and more. Licensed games are also on offer, giving users branded experience like The X Factor, Iron Man, Monopoly and more. Table games are also available in full force. A huge range of poker and blackjack games are on offer, as well as other staples that players would come to expect from a platform of such a significant scale. Players with a love for realism will also adore the live gaming options on offer. 24/7 action is just a few clicks away and no additional software needs to be installed. The video quality is great and never choppy, resulting in a seamless and quality experience. Players will find that favourable odds are on offer here. The sportsbetting area offers great odds and regular promotions to users, while the RTP of key games are revealed to give players a transparent experience. Coral is one of the big players and its customer support – while great – is not as competitive as the options available from its competitors. A detailed FAQ answers the key questions that its players might have, but the level of customer support is a little lower than the standard for a platform of its size. Live chat and telephone support is available but only at restricted times throughout the day, but email support is available around the clock. According to our tests, the responses were always under 30 minutes for that method. Coral offers a range of different iOS and Android applications, each one covering a different room within its platform. These are all of a uniform quality, giving users the quality touch of Coral each time. If the players have already downloaded an application in the past, installing these will be an absolute breeze for players. The UI and UX is again uniform, ensuring that players are never lost and know exactly what to do. The mobile website is a great alternative for those users who do not have the ability of inclination to install a mobile application. This can be accessed easily through a browser, and it is compatible with a range of devices and browsers. Fast and performant, this website again abides by established convention and fits alongside Coral’s other products. If you decide to use this website, you can rest assured that you will never feel lost. All of the key features are available, but some of the slot game did not make the transition to mobile. With that said, there is still a huge amount available. When it comes to pedigree, Coral is one of the leading online casinos in terms of history. 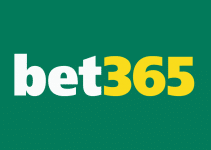 The company has its foundations back in 1926 when it began life as a single betting shop created by the eponymous Joe Coral. From here, the business expanded rapidly and grew into the entertainment conglomerate that we know today. The company now has almost 2,000 physical locations across the UK. It has switched hands a few times, and it is now owned by Ladbrokes. After that acquisition, how much of the original Coral charm remains? Here’s a closer look at the experience that users can expect when playing with Coral. Coral is a huge platform and the quality can be felt through it. Partnerships with leading providers mean that players can enjoy premium experiences. The welcome bonuses and the customer support could be improved, but these are not going to break the experience at the end of the day. The odds and variety on offer are the stars of the show here and make Coral one of the key providers in the industry. Still not sold on Coral? Here’s a closer look at some of the key alternatives that you might like to explore. William Hill is one of the oldest betting companies in the world, established almost 100 years ago. The platform has taken this experience and pedigree into the digital age, offering a powerful experience to its users. In-play betting that is really unparalleled.